Yesterday during a canvassing visit to Norwich for the Liberal Democrats, Baroness Shirley Williams, Liberal Democrat Peer, was reunited with Joe Stirling. 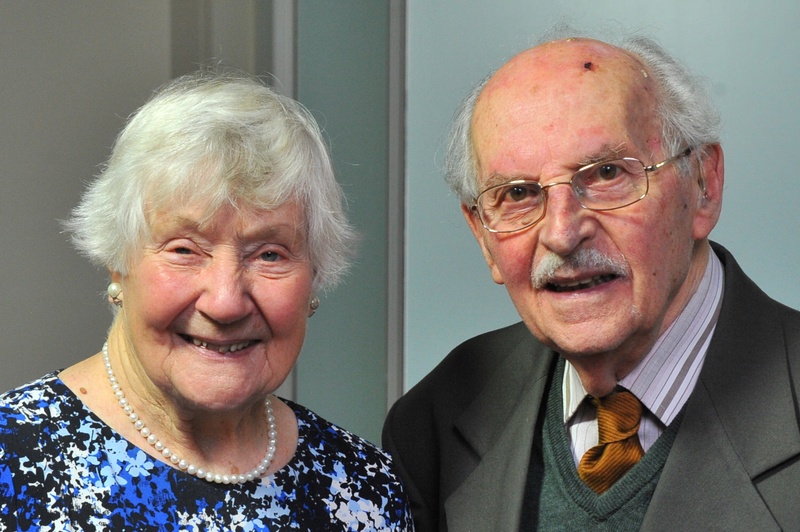 They last met 61 years ago during her first ever By-election as a Labour candidate. Joe, then Labour Agent for Norwich, was sent to help out the young 23 year old in her efforts to become an M.P. Shirley Williams has kindly written a foreword for Escaping Hitler: A Jewish Boy’s Quest for Freedom and His Future, the biography of Joe Stirling, written by Phyllida Scrivens. This debut book will be published by Pen and Sword during January 2016.